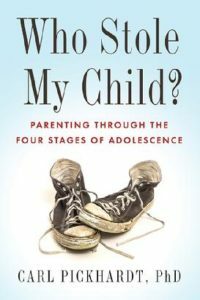 How Parents Make Teenage Behavior Worse, by Carl Pickhardt, Ph.D., author, Who Stole My Child? (Book Excerpt) | MotherhoodLater.com - World’s leading website, eZine and community for midlife moms. Most parents with teenagers are familiar with the things they “should” do with their emotionally sensitive (and sometimes abrasive) adolescents. They give them more space than they used to, allow them to have ample time with friends, and let them sleep in on weekends. But, while knowing what to do is important, so is knowing what not to do. Taking unwelcome changes in teenagers personally. These changes are not about you. For example, your teenage son is not acting more forgetful just to frustrate you. The old management system that allowed him to keep track of things in childhood is no longer enough to cope with the increasing complexity of middle school. What he needs from you is patient help for learning how to keep his life together. Personal criticism at this insecure point will only hurt his feelings and detract attention from the task at hand. Coach don’t criticize. Treating conflict as a contest. As teenagers detach from family and push for more freedom of action, there will be more conflicts. Instead of turning conflict into a power struggle, treat it as a chance to communicate about whatever the point of contention is. For example, ask the teen why he now objects to doing chores or homework, or having a bedtime. Then promise: “I will be firm where I have to, flexible where I can, and will always give a full hearing to all you have to say.” In conflict, treat your adolescent as an informant, not as an opponent. Using criticism when correcting. There will be times when your teen breaks the rules and you will need to correct him or her. If you criticize while correcting, your teen will feel attacked and your instructional message may be lost. Instead, when correcting your teen, say this: “We disagree with the choice you have made, this is why, this is what we need to have happen now, and this is what we wish for you to learn.” Keep correction non-evaluative and focus on choice, not character. Being too busy to listen. Teens are only ready to talk when they are emotionally ready. If parents say, “let’s talk later,” they have likely missed their opening for communication. Emotional readiness has passed, and their teen now claims, “My parents never listen to me!” Always be ready to drop or interrupt what you are doing to give a listen. Be accessible whenever your teenager wants to talk. Using put downs like sarcasm or teasing. Contrary to what they might say, teenagers wants to shine in their parents’ eyes. Their opinion is the primary interpersonal mirror in which they see their own reflection. Never lose a chance to tell your teenager the good you see in him. Allowing emotions to get in your way. Sometimes, when parents find they cannot get what they want with reasonable persuasion, they can resort to emotionally manipulative means. They say things like, “The way you are acting just breaks my heart!” “You make me so angry I could just give up on you!” The teenager then relents in the face of this emotional onslaught. However, these parents lose by winning, because the teenager resents the manipulation and often may be learning to use it in return. Instead, directly declare your wants and needs. Calling them names. In frustration, parents might say things such as, “You’re just being lazy!” What’s wrong with this? The answer is what’s left unsaid: the teenager hears, “I am a lazy good for nothing.” Or parents might say, “You’ve really disappointed us.” In this case, the teenager interprets this as a loss of lasting love. Refrain from using negative labels. Failing to appreciate them. After parents have relentlessly pursued a teenager to get (what amounts to very little), they might say, “It’s about time!” – rewarding their efforts only with resentment. The teenager then feels that, since parents don’t appreciate her cooperation, she shouldn’t even bother to do what they ask. The lesson for parents is: no matter how long it takes to get what you want, positively acknowledge the accomplishment. A simple “thank you” can have motivational effect. Saying you are proud of them. The teenager does something well, and parents declare, “We’re so proud of you!” Now a couple of problems can arise. The teenager can feel a burden of supporting parental self-esteem, or the teenager can develop anxieties about letting parents down. Best to keep the credit where it belongs. Simply say: “Good for you!” Congratulate your adolescent for doing well; not yourselves. What’s the advice here? Avoid the common pitfalls mentioned above, and affirmatively follow the Golden Rule: treat your adolescent as respectfully and kindly as you want that young person to treat you. 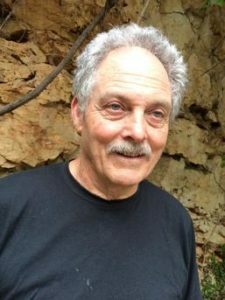 Carl Pickhardt, PhD is the author of fifteen parenting books including his latest, WHO STOLE MY CHILD? Parenting Through the Four Stages of Adolescence (a Central Recovery Press Paperback, on sale November 20th, 2018). A psychologist with over 30 years’ experience working with families, he also writes a popular blog for Psychology Today, Surviving (Your Child’s) Adolescence. Wow. This is some very insightful advice from Dr. Pickhardt. I never would have thought about the negative consequences of telling a teen “we’re proud of you.” As an educator, I am aware of the anxiety that comes with pressure to excel, especially in gifted students. It is important to remember how powerful our words are. Thank you, Robin, for sharing this post. I’ll have to check out the book.